The park, located near the Thailand border, is a good alternative if you can't make it to the jungles of Borneo or want to veer off the well-trodden course this side of Malaysia. It's home to about 1,000 indigenous Jahai people and critically endangered animals like the Malayan tiger, which numbers between 250 and 340 in the country and is the current focus of WWF Malaysia's conservation efforts. To enter the park, you need a permit and a licensed guide, and the only way to get there is to follow the lake's waterways north. It's a 30-minute boat ride from the resort's private jetty to the mouth of Sungai Perak, which snakes through the Royal Belum State Park and branches into smaller rivers. But it's a spectacle that takes some luck to catch. 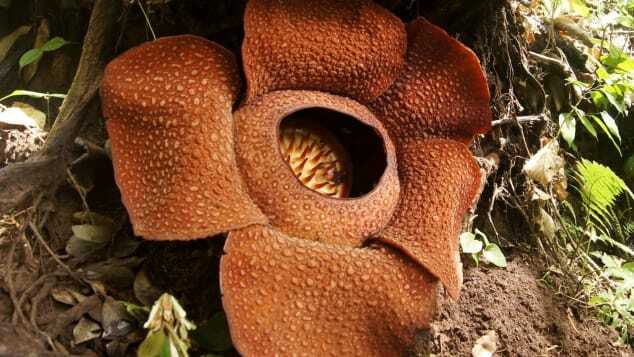 "It takes nine months to mature, and flowers for just five to seven days before dying," our guide Hafizul Haron says. We only see only one clamped-up orange bud the size of a volleyball among black rafflesia corpses. Next, we come to a Jahai village around Sungai Kejar, where eight families live in thatched huts and a generator powers televisions and other modern needs. Hafizul points out a long rod lying in a boat along the bank. "That's a blowpipe, but unlike the traditional ones it's encased in steel to protect the bamboo. The Jahai use it to hunt small animals like squirrels or birds," he says. After Kerji Renjak, the 45-year-old headman, grants us permission to enter his village, he invites us in to sit on the steps of his hut to chat while the women and children cluster around one another, interjecting occasionally, and a monkey dangles playfully from a tree. He tells us about some of the joys of living here -- he likes hearing the sounds the deers make -- and some of the challenges. "The amount of fish in the lake has dwindled due to recreational fishing, and when we grow crops the elephants sometimes destroy them," he says. The Jahai live among Royal Belum's reputed 10 species of hornbills and endangered mammals like the Sumatran rhino, the Asian elephant, the Malayan gaur and the Malayan tapir, besides the Malayan tiger. 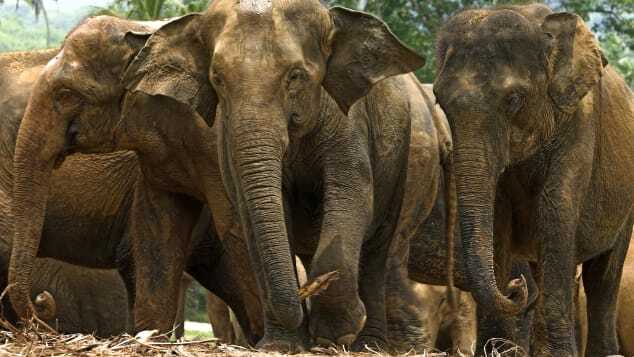 You're not likely to see the big creatures, but you might spot one of the smaller animals at the Sungai Papan salt lick -- a mineral patch teeming with butterflies that wild boars, sambar deers and pangolins frequent to lap up nutrients. Later, Hafizul leads us for a short hike in the forest among columnar trunks, giant fronds and looping vines, showing us plant life capable of producing all manner of things. One of the most lucrative is the agarwood-producing tree, locally called gaharu, which yields oils used in perfume, incense and traditional medicine, and fuels an annual global trade worth $6.4 billion. On our last stop, we navigate into a sheltered cove, where the trees tower above us and bow at one another, forming an imaginary green cathedral. Then we make our way to the Sungai Ruok waterfall, for a reprieve from the heat. The Belum Rainforest Resort also offers shorter excursions, like a 40-minute night hike around its compound on Banding Island. The buzz of cicadas and crickets become the sound of silence, and Hafizul's eagle eyes help us navigate the darkness. We come across wild boars foraging for food and small but venomous creatures like scorpions, spiders and centipedes. We also see giant ants the size of our thumbs. And don't forget run-ins with leeches. Even the plants are dangerous in the dark.